Organizations today are facing significant challenges as they adopt the latest technologies to power business success. With major shifts from physical to virtual to cloud having occurred in the past 10 years, and many enterprises have already adopted containers as a key piece of their infrastructure, architectures have changed significantly and the rate of change is not slowing down. At the same time, attacks are increasing in frequency and sophistication. 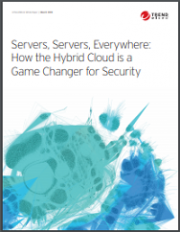 This paper examines the dynamics of the hybrid cloud and the challenges introduced at both the business and technical levels, and how Trend Micro helps to address many of these real-world problems in ways that can simplify operations and increase the overall security of your data and applications across the hybrid cloud.